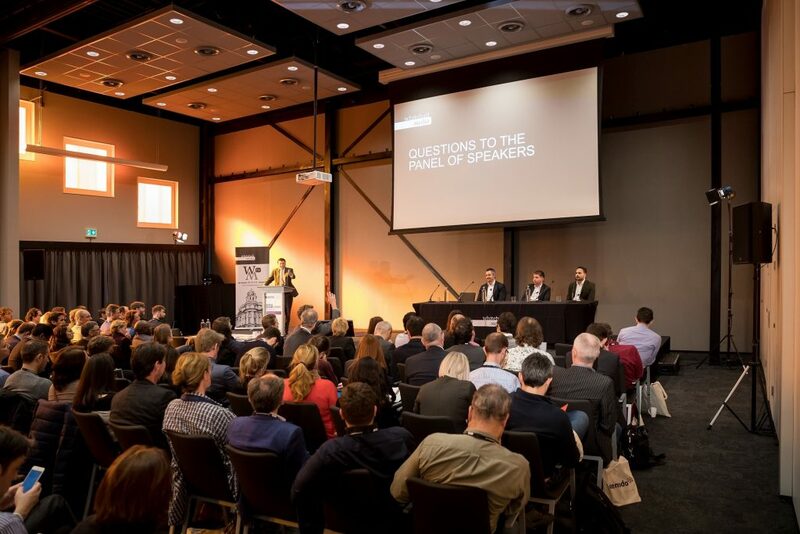 Whitehall Media were incredibly proud to host the third Big Data Analytics Europe event two weeks ago at the Postillion Convention Centre in Amsterdam. The day was by all measures a huge success and the event was incredibly fortunate to have some inspiring speakers share their experiences, interpretations and insights with the day’s attendees. Alongside these high-quality keynotes, the conference also featured five deep-dive seminars where delegates could explore data implementation challenges in more detail and where conversation and networking flourished. Several of our speakers turned their attention to the ways CDOs and senior data managers need to understand and appeal to the board to ensure the success of fledging initiatives or project growth. Peter Jackson and Caroline Carruthers, authors of The Chief Data Officer’s Playbook argue that the first 100 days are essential for this, and while CDOs and Data Managers should be given leeway in this time, they need to have produced some tangible results for their organisation by their conclusion. In this vein Cosmando Byarugaba of Air France-KLM used the initial days of his team’s big data journey to seek executive buy-in by focusing on smaller, more achievable projects that he could present to the board as models for future efficiencies and growth. Burce Gültekin, took a slightly more forthright view, suggesting that the way the NN Group Centre of Excellence was proving its mettle was by immediately highlighting the areas most in need of insights and focusing their attention there. Both approaches acknowledged the impact of available budget and executive enthusiasm though. Alejandra Leon of Philips and Pascha Iljin of Akzonobel focused more on the process when ensuring the success of a big data project. Comparing the difficulties of starting a complex analytics procedure to eating an elephant, Pascha’s advice was to scale the project (one bite at a time) from business units to a global level to prevent being overwhelmed. Meanwhile Alejandra put the emphasis on agile development with the associated quick release cycle so bad projects fail fast and good ones scale. Similarly, Viktor Nikulin of FrieslandCampina advised having a small team that keeps delivering value by developing and scaling and offering self service tools to reduce barriers to entry for data enthusiastic staff. Avoiding the famous presentation trap of only highlighting the successes of big data initiatives, our speakers were more than willing to engage with the tough challenges they faced and struggled to overcome. Michiel van Dongen tackled the issue of data quality, and how KNMI uses alternative collection methods and scientific assessment to ensure their observations are understood and validated to control risk. Meanwhile, Satya Singh of Expedia looked at the inherent failings of data science and asked our delegates to consider how inherent biases can affect and shape their work. Julio Peironcely focused more on the practical challenges Schiphol Group faced and the role of data in meeting these challenges. Schiphol Airport has a growing number of passengers but is limited by law to 500,000 air transport movements a year, and Julio argued that better, smarter data analysis could ease problems such as customer waiting times through crowd analysis. As our chair Marc Salomon pointed out on the day, it was very fitting that BDA Europe started and ended with presentations that emphasised the ways big data and data science can be used for social good. Tamas Erkelens showed delegates the ways the city of Amsterdam is using data to tackle issues such as crowdedness in the city, and the ways they are releasing data to the public to foster innovation and better public services. Looking further afield, Maarten van der Veen, founder of the 510 initiative at the Netherlands Red Cross told delegates about how their team of data science volunteers used satellite, drone data and worldwide collaboration to map the damage to Sint Maarten after Hurricane Irma hit the island in 2017. When much of the coverage of big data, machine learning and AI leans towards the apocalyptic in perspective, it was very encouraging to see the ways data is being used to impact the world in a positive way. Big Data Analytics Europe would not have been possible without our sponsors, speakers, delegates, and chair Dr Marc Salomon. Special thanks to our platinum sponsors of the event, Confluent and Hitachi Vantara who contributed hugely to the day as well.